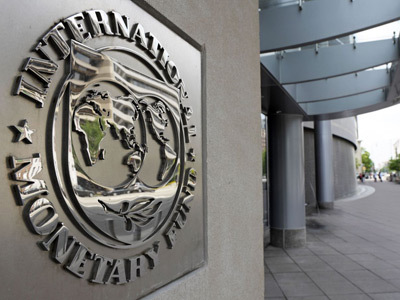 The International Monetary Fund has cut its global growth forecast and offered a gloomy prospect for the world economy if policymakers in Europe do not take immediate action to lead the region out of the debt crisis. ­In a mid-year update of its economic forecast, the IMF warned that the measures taken in Europe have not done enough to calm down the markets and restore growth. 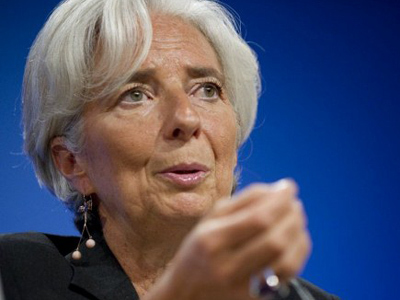 The IMF has maintained its forecast of 2012 economic growth at 3.5%, but it has cut its forecast of growth in 2013 to 3.9%, down from the estimate of 4.1%it made in April. In 2010, the world economy expanded 5.3%. “Clearly, downside risks continue to loom large, importantly reflecting risks of delayed or insufficient policy action,” the fund warned. The IMF also warned that the productive capacity in a number of emerging market economies, such as China, India and Brazil, may be lower than previously believed and future growth could disappoint. It has cut its forecast for growth in emerging economies this year and next, projecting they will expand 5.9% in 2013 and 5.6% in 2012. Both figures are 0.1 percent lower than in April. “In emerging economies, policymakers should be ready to cope with trade declines and the high volatility of capital flows,” the IMF said. The IMF cut its 2012 growth forecast for China to 8.0%, down from 8.2%, and said it now expected growth of 8.5% next year, down from 8.8%. It also sharply revised down its growth projections for India to 6.1% this year from 6.9%, and chopped its 2013 forecast to 6.5% from 7.3%. Meanwhile, Africa’s growth is still seen at a robust 5.4% this year and 5.3% in 2013, as the region mostly remains relatively insulated from external financial shocks. The IMF has cut its forecast for Russia’s 2013 GDP growth outlook from 4% to 3.9%, but left unchanged its 2012 economic growth at 4%. Russia's debt situation looks favorable compared to the other BRIC countries, where the state debt is expected at 22% of GDP in China, 68% of GDP in India and 64.2% of GDP in Brazil. The IMF cut its growth forecast for the crisis-hit euro zone to 0.7% in 2013, while maintaining its projection of a 0.3% contraction this year. It said it now believes Spain’s economy will shrink both this year and next. The outlook for advanced economies outside the euro zone and in emerging markets have dimmed, said José Viñals, the head of the IMF’s monetary and capital markets department. The global lender said they would only grow 1.4% this year and 1.9% in 2013. 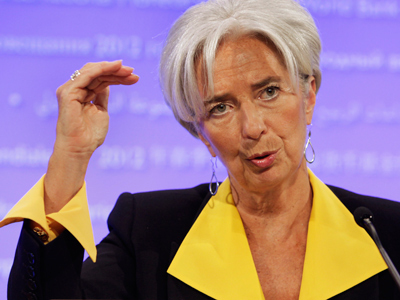 The IMF sharply revised down its growth forecast for the UK to 0.2% this year and to 1.4% in 2013. In April, the fund said the UK economy would expand 0.8% in 2012 and 2.0% next year. The IMF, which has cut its US forecasts slightly, said concerns were rising over a political battle in Washington over how to avoid painful automatic spending cuts and tax increases at the start of next year.